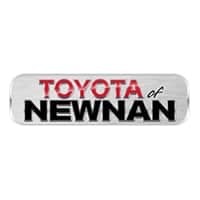 At Toyota of Newnan, we’re committed to helping our Georgia customers find the new Toyota car they love from our inventory and to helping them take great care of it throughout the car’s lifetime. Partner with our team of service professionals at our Toyota dealership near LaGrange, GA, and we’ll help you take care of important maintenance procedures such as oil changes. You may already be familiar with the general advice to seek oil changes every 3,000 miles or three months, but you may not be as aware of the importance of thias routine service. Oil plays a vital role in how your engine and entire vehicle functions. Since oil provides the lubrication and proper cooling all the component engine parts need in order to function at their best, regular oil changes keep your engine in its optimal state. They also help contribute to the overall health of your vehicle, since you’re reducing the risk of corrosion and other harmful side-effects of the dirt and debris old oil leaves behind. You may even find that being diligent about oil changes at our Toyota dealership near Fayetteville, GA, helps to contribute to improved fuel economy and overall vehicle performance. Neglecting to seek this important procedure from our service center near Atlanta, GA can wreak havoc on your vehicle’s engine. There may be a buildup of harmful dirt, debris, and sludge that impairs the cooling and lubrication your engine needs to perform optimally. This could then lead to overheating, engine failure, and extensive repairs. Rather than running the risk of encountering these issues with your vehicle, stay up to date with our service schedule at our Newnan, GA, Toyota dealership. For added convenience, we’re pleased to offer easy online appointment scheduling at our Toyota service center. Simply input your desired day, time, and service, and leave the rest to us on the day of your next appointment. We look forward to seeing you for your first or return visit to our service center for all your routine oil changes and maintenance concerns.